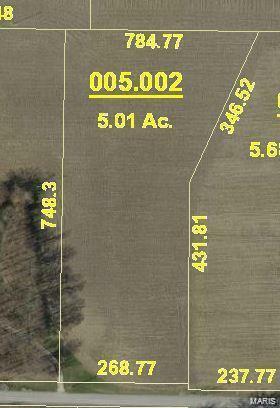 5.01 +/- acres in Edwardsville School District! Beautiful, rolling building site, close to town, interstate access, & bike trail nearby. 260' of frontage.